Investing Japan demonstrates that foreign investment is a vital and misunderstood aspect of Japan’s modern economic development. The drive to become a modern industrial power from the 1860s to the 1930s necessitated the adoption and internalization of foreign knowledge. This goal could only be achieved by working within the overarching financial and technological frameworks of Western capitalism. 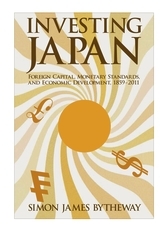 Foreign borrowing, supported by the gold standard, was the crux of Japan’s pre-war capital formation. It simultaneously financed domestic industrial development, the conduct of war, and territorial expansion on the Asian continent. Foreign borrowing also financed the establishment of infrastructure in Japan’s largest cities, the nationalization of railways, the interlinked capital-raising programs of “special banks” and parastatal companies, and the rapid electrification of Japanese industry in the 1920s. Simon James Bytheway investigates the role played by foreign companies in the Japanese experience of modernization while highlighting their identity as key agents in the processes of industrialization and technology transfer. 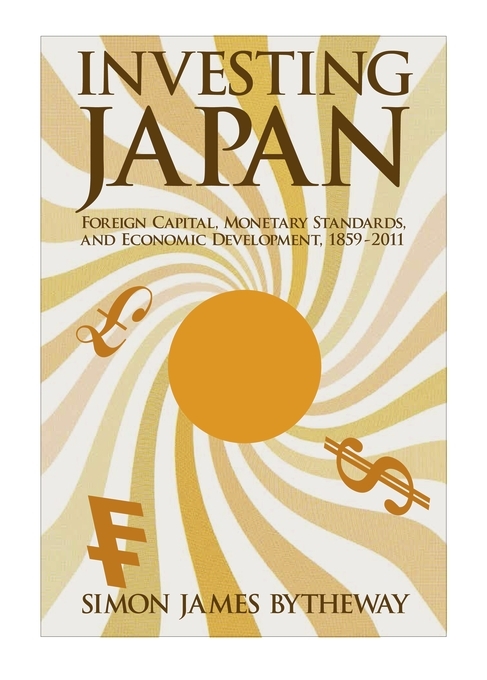 Investing Japan delivers a complex, multifaceted analysis, intersecting with the histories of formal and informal economic imperialism, diplomacy, war financing, domestic and international financial markets, parastatal and multinational enterprise, and Japan’s “internationalization” vis-à-vis the emerging global market.